During his tenure as the Govenor of Penang from 1975 to 1981 the then Tuan Yang Terutama Yang Di-Pertua Negeri, Pulau Pinang, the late YABhg Tun Datuk Haji Sardon bin Haji Jubir, SMN, DUPN, PMN, SPMJ, SPMK, became so concerned with the poor and needy in the State during the economic downturn at that time. With the co-operation and assistance from a group of the State’s prominent businessmen and community leaders, the concept to help the less fortunate in the State through a welfare foundation was established. Tun Sardon Foundation was incorporated on June 13, 1978 as a company limited by guarantee and not having a share capital under the Companies Act 1965 to carry out charitable objects, including giving relief to the poor and needy, in particular the widows and orphans, victims of fire, floods, famine or other calamity and to those in need of moral or social rehabilitation or welfare. In November 1978, the Foundation obtained its tax exemption status from the Minister of Finance. 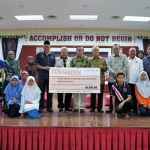 The late YAB Tun Datuk Haji Sardon bin Haji Jubir was the first and Founder Patron who had played a significant role in guiding the Fundation. 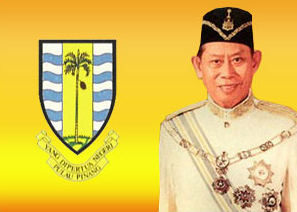 Since the date of incorporation, the Founder Patron had attended practically all the Foundation Board of Governors meetings and had remained very active in promoting and continuing with the work of the Foundation until 1981 when his term as the Yang Di-Pertua Negeri expired and he then left Penang for Kuala Lumpur. He passed away in in December 1985. 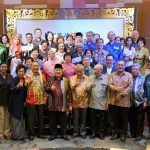 Among the first members of the Board of Governors were the late Datuk Yeap Hock Hoe who became the first Chairman of the Foundation, while the late Tan Sri Datuk Loh Boon Siew, Tun Dato’ Seri (Dr) Haji Hamdan bin Sheik Tahir, and the late Datuk Koh Pen Ting were all the first Vice-Chairman. Main Founding Members in the initial formation of the Foundation in 1976. They were the main Founding Members in the initial formation of the Foundation. Through the years till now, the Foundation has three Chairman. Tun Dato’ Seri (Dr) Haji Hamdan bin Sheik Tahir became the 2nd Chairman of the Foundation when the first Chairman Datuk Yeap Hock Hoe passed away on 14 May 1980. In July 1989 when Tun Dato’ Seri (Dr) Haji Hamdan bin Sheik Tahir became the Yang D-Pertua Negeri of Penang, Dato’ Haji Mohamed bin Yeop Abdul Raof was unanimously appointed the 3rd Chairman of the Foundation. YBhg Dato’ Haji Mohamed Yeop has continued to serve as Chairman of the Foundation until May 2005 when he resigned due to ill health. The 4th Chairman Encik Mohd Rizal Al-Amin Bin Tun Sardon took over in May 2005. 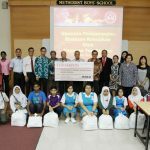 One of the Foundation’s keen supporters was the late Dato Zainal Alam bin Haji Zainal Abidin who passed away in early 1992. 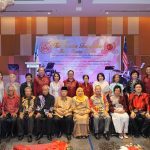 The late Dato Zainal Alam acted as the Foundation’s Master of Ceremony at the annual TYT Dinner Function for over 13 years. the Foundation logo which is truly unique. Please click here for Tun Sardon’s bibliography.